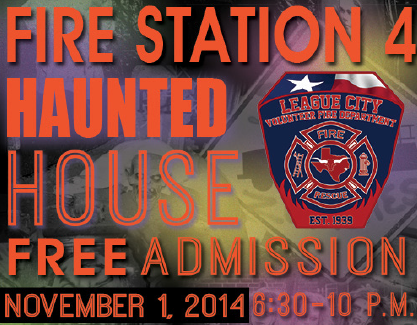 The community is invited to join us for a scary, good time!Age appropriate for 12 and up! 12 and under are invited to participate with at parent’s permission. Location: Fire Station 4, 175 West Bay Area Blvd., (Behind the new Walgreens) Time: 6:30pm-10pm Fire Station 4 also gives away candy and fire prevention giveaways for the younger kids during this event. See you there!